Rural Development and Local Government Minister Kazim Hosein. 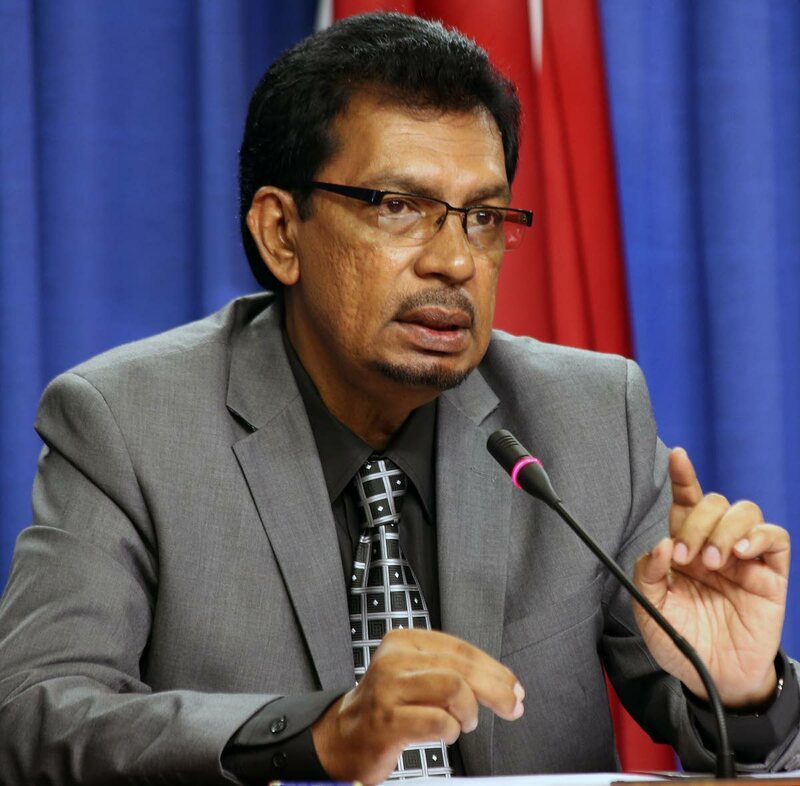 The Minister of Rural Development and Local Government, Kazim Hosein, is asking citizens to please refrain from using the North Coast Road as it would take several days to clear. On Friday, a massive landslide blocked off a section of the North Coast Road near the Maracas look-out. The road was expected to be reopened around 9 am yesterday but one Maracas Bay police officer told Newsday more debris continued to fall because of rain from Saturday night. He said the Ministry of Works had managed to clear one lane early yesterday morning and residents of the area were allowed to pass. However, he said around 7 or 8 am, more debris fell onto the road. He said since then, the Ministry of Works was attempting to bring down more loose debris from the mountainside so that it would not fall later on. Hosein also said he had been touring flood-affect areas for past three days and his visit to Barrackpore yesterday left him feeling positive as tide was low tide and the water was beginning to recede. He said the only report of anyone being relocated by the Fire Service because of the flooding was a family in Mayaro, who had since returned to their home. Despite the positive news, an Office of Disaster Preparedness and Management (ODPM) advisory yesterday afternoon asked citizens to be carful and to take steps to preserve life and property as the weather forecast suggested that the rain would continue to fall, preventing floods from receding in some areas. It stated that the TT Meteorological Service received reports that some tributaries of the Caroni River, Cipero River and Oropuche River over-spilled their banks in some areas. It also indicated that, although the water levels of some rivers were slowly receding, they still exceeded bank-threshold levels. Since the forecasted rainfall was expected to be between 15 to 30 mm, citizens were asked to be alert for further overspill and continued flooding, especially along the Caroni River Basin and low-lying areas. According to the release, although no evacuation was required at that time, the ministry’s Disaster Management Units were collaborating with other agencies to conduct recovery works, damage assessments, and assist shelter impacted flood victims. Reply to "Minister: Stay away from North Coast Road"